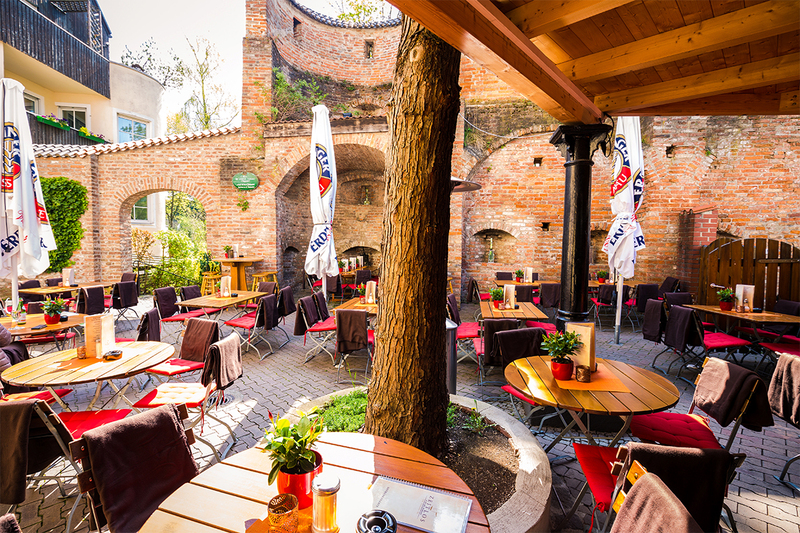 In our unique ambience in “Zeitlos Erding an der alten Stadtmauer” we have not only a piece of history in our café, but also a comfortable beergarden with a bar in the outside area as well as a harmoniously furnished inside area. 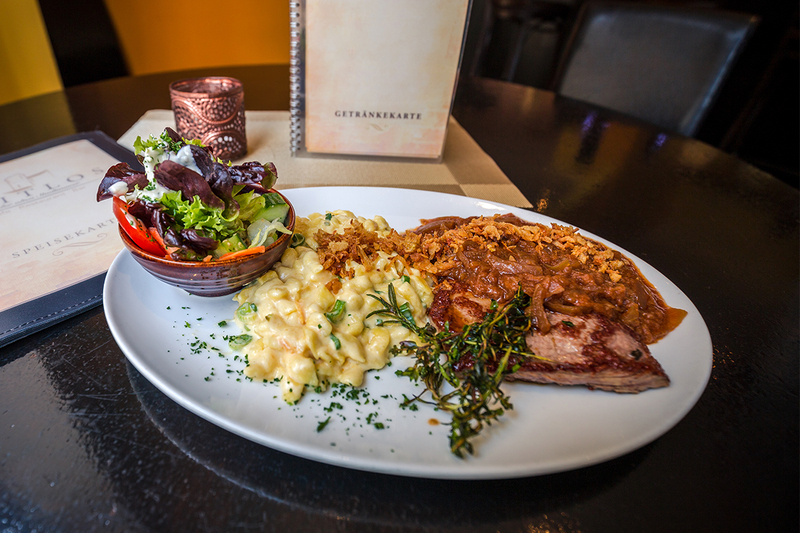 In our cafe bar you can enjoy daily varying lunch menus or an affectionately prepared dish from our menu. No matter whether big or small hunger – Zeitlos Erding an der alten Stadtmauer has a little bite for everybody. From traditional courts up to Burgers and Fingerfood. You can also visit us at our weekly Sunday brunch with Buffet and convince yourselves of the tasty lusciousness which ist prepared in our cafe specially for you. 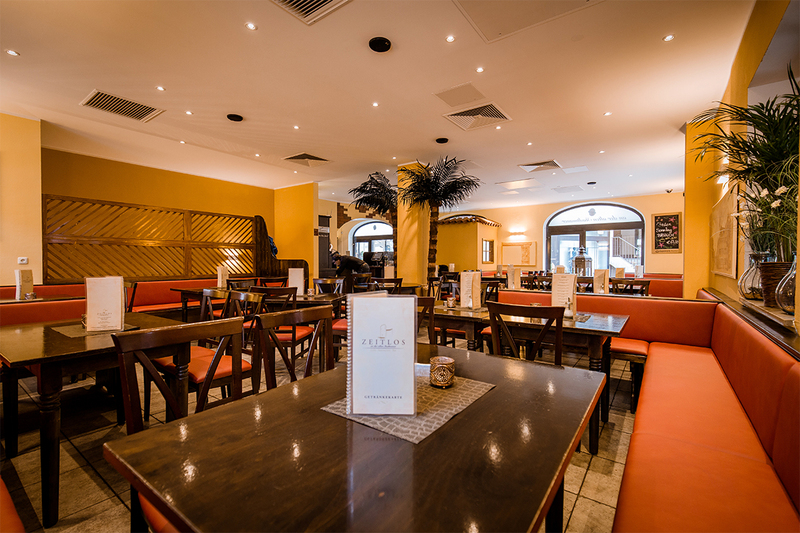 We have not only place for an excellent breakfast or lunch and a comfortable time out with an aromatic coffee. But also a perfect atmosphere to refresh yourself with one of many cocktails or a chilled beer at the end of work in our cafe bar. We offer a choice of alcoholic beverages and of course also alcohol-free as well as many other juices, lemonades etc. We are happy to welcome you soon.